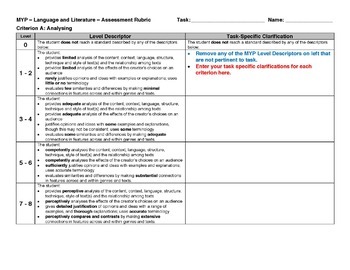 This rubric can be used for any task within IB MYP Language and Literature (Year 5) tasks. 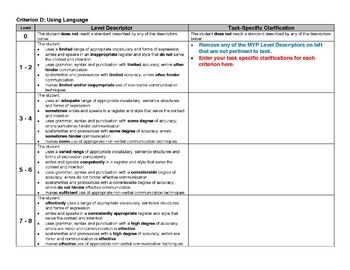 Included are the level descriptors for each of the four criteria on the left side. 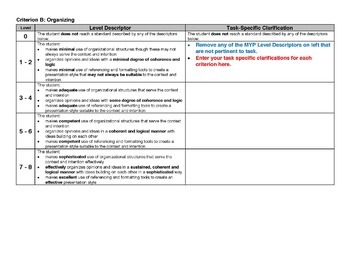 On the right side, teachers can adapt the criteria for task-specific clarifications. 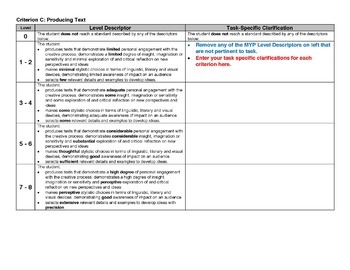 Please see preview file for further detail. Click here for IB signage and posters.